Why doesn’t Loudoun have a drug court? There is a frenzy among elected officials, seeking to discourage drug use and addiction, including street heroin and prescription drugs, but they mostly bypass drug kingpins, and go for arrest stats instead, chasing the victims of the drug trade, the addicted. Our current law enforcement policies come awfully close to criminalizing an individual’s status, as an addict, when we know well an addict likely can’t help himself, and may commit other crimes to afford his fix. In the case of prescriptions, law enforcement resists the critical and fine distinction that a chronic pain patient may be dependent on pain medication to function and the treating doctor is healing rather than dealing prescription drugs. As a former federal prosecutor from New York, I learned early on that drug dependency would never be solved by prosecuting the victims. But it’s easy pickings to criminalize young users and addicts. There is a partial solution to our drug problem in this County and it’s a Drug Court. 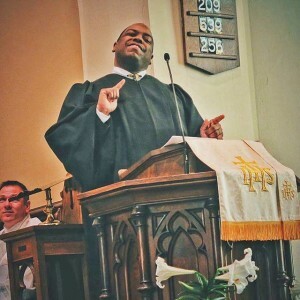 The lead infused water crisis in Flint, Michigan has inspired Pastor Guy Johnson, who does outreach for the Loudoun Soil and Water Board in Loudoun, to raise funds to help the children and their parents in Flint. In April 2014, Governor Rick Snyder’s Emergency Manager overrode Flint’s Mayor and the City Council, switching the water supply from the Lake Huron water treated by the Detroit Water and Sewerage Department, to the Flint River, so they could cut costs; Snyder’s Manager didn’t spend a dime to add chemicals to the Flint river water to offset the water’s corrosive effect; as a result, lead leached from water pipes and fixtures into the tap water the citizens drank. Lead is toxic, not safe at any level in humans, and can cause nervous system damage, stunted growth, kidney damage and delayed development; its effects are most severe on developing brains and the nervous systems of children and fetuses; it can effect reproduction among adults; it is a likely carcinogen. It is estimated that 8,657 children in Flint drank this toxic tap water, and there is no estimate how many pregnant women living in Flint, or who visited Flint, also drank the water. 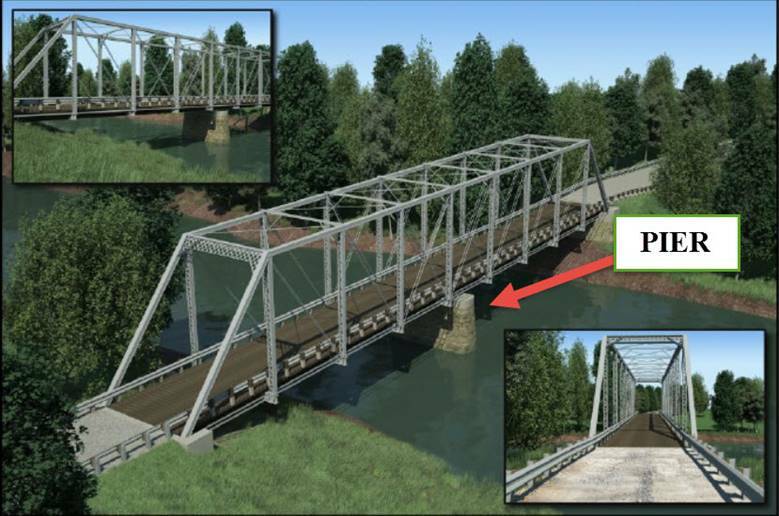 You may wonder what happened to that historic one-lane bridge on Featherbed Lane that VDOT seemed inclined to alter or destroy. Well VDOT is having another meeting on February 9, 2016, at 6 p.m. at the Old School in Waterford, and the bridge is still on the chopping block. 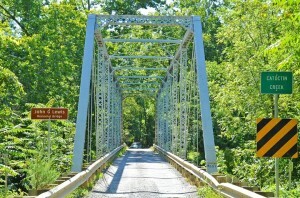 There is an effort by the Catoctin Creek Scenic River Advisory Committee to preserve the bridge’s historic standing and maintain its listing in the National Registry of Historic Places and in Virginia Landmarks Registry. In 2003, VDOT “hot zinced” the bridge to preserve it and instead made the bridge more brittle. According to the Advisory Committee, VDOT now admits that may have been the wrong thing to do. The challenge is to repair the bridge consistent with the recommendation of Virginia’s Department of Historic Resources. The Advisory Committee would prefer that this Alternative 2A not have a pier as when there are storms, trees and branches, they accumulate around the pier. The current configuration of the bridge has no pier. The Advisory Committee said that you have to go out there after every storm clearing out the log jam when you have a pier or piling. VDOT is distressed that trucks weigh too much and may have trouble clearing the upper trusses. One resident asked why is a truck traveling on that road, much less the bridge. Is this really a way to create new paved roadways to facilitate more development, rather than preserve and protect this charming back road and historic bridge? On the northeast side of Featherbed Lane, just over the bridge, there is Waterford Downs, a development slated to have 93 homes on 3 Acre lots, with 5 built already. For trucks to avoid the dirt road and the historic bridge, in order to get to the development, requires that the trucks go around on other roads, taking an additional 45 minutes. These narrow dirt roads are not meant for such heavy traffic. One member of the advisory committee suggested that, if the bridge is revised and widened, then the dirt road may be next to be widened and paved. It remains a bitter irony that, while the bridge was named after a preservationist, John G. Lewis, its own chance of preservation is at high risk. Mr. Lewis had been the local regional representative for the Virginia Historic Landmarks Commission, now known as the Department of Historic Resources. John spearheaded the Scenic River designation for Catoctin Creek that flows beneath the bridge. This tension may be resolved, either to preserve or destroy the bridge and its historic nature, at the meeting scheduled for February 9th in Waterford. We should not squander another historic treasure. We have to make this work and save the bridge.